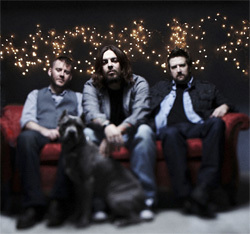 The melodic, heavy rock ‘n’ rollers who are Seether are back on the road promoting their latest album Holding onto Strings Better Left to Fray. We caught up with lead man Shaun Morgan to talk about their latest number one single “Country Song,” the upcoming record, working with renowned producer Brendan O’Brien, and more. Maximum Ink: Tell me about your upcoming album Holding onto Strings Better Left to Fray. Shaun Morgan: It’s basically a culmination of three years worth of writing that represents the best of the 35-40 songs we ended up writing for this album. It started out as a 10 track album, which grew to a 12 track album, and it’s something we’re really proud of. MI: Can fans expect the same Seether sound and feel on the upcoming album or did you go in a different direction? SM: I think on every album we do something a little different, so people who know the band will know that there will be some interesting stuff. We don’t want ourselves, or our audience, to grow bored with the music we create. MI: What are you personally most proud of on this album? SM: I’m proud of the whole album. There really isn’t any one particular aspect of the album that makes me more or less proud than another. I really believe that we have created a solid rock album and that is all I set out to do. MI: “Country Song” is your fifth single to go number one in the band’s career. What does that mean to you and the band to have such continued success over your careers? SM: Obviously we are extremely happy that we can still write music that we enjoy, and that people want to listen to. After 10 years that seems surreal, but I know how hard we work on each album, and how satisfying it is when that work pays off. It’s really incredible. MI: What was it like working with Brendan O’Brien as producer (Pearl Jam, Rage Against the Machine)? SM: Brendan is a world-class producer. He worked to help us write the best album we possibly could. He’s a band’s producer, in that he works with a band, and not the band working for the producer. We really enjoyed working with him, and we feel we have found the right producer for this band. MI: Are you excited to get back out on the road and promote the new album? SM: Of course we are excited to get back on the road. Touring is what this band loves to do. The only way to take this music to the fans is to hit the road and play every city we can. MI: Anything else you’d like to say to your fans? SM: Thank you for the continued support. See you out on the road.